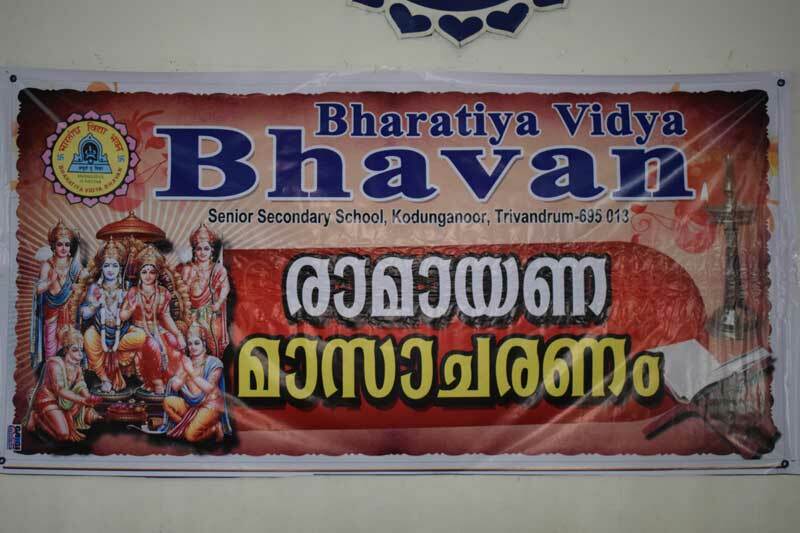 Bharatiya Vidya Bhavan Sr. Sec.Sechool, Kodunganoor attained yet another milestone with the beginning of a month long Ramayana Celebration. It aims inculcating spiritual as well as pious way of life among the students. Retd Prof. Dr. Madhavan Pillai inaugurated the function which was graced with the presence of Sri. Sunil Chacko (Principal, BVB Kodugnaoor), Smt. Uma Maheswary (Vice-Principal, BVB Kodunganoor) and Smt. Manasa rendered Ramayana on the occasion.